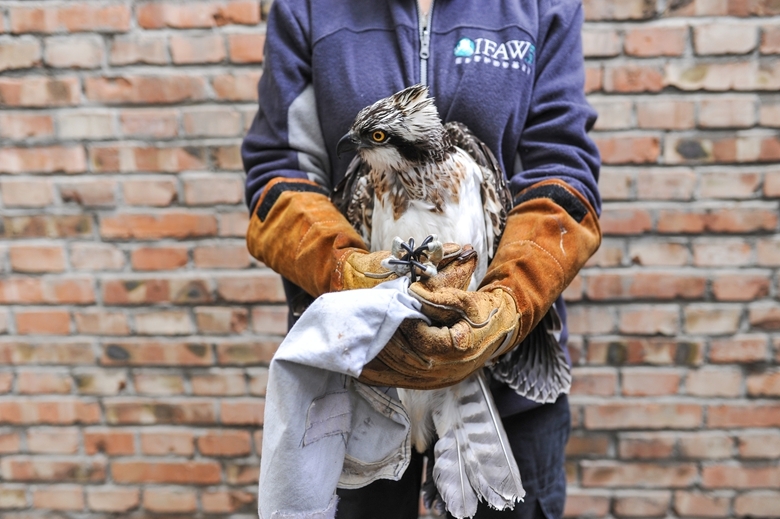 Dai Chang, a rehabilitator at the Beijing Raptor Rescue Center (BRRC), first heard about the BRRC while studying veterinary medicine at Qingdao Agricultural University. During college days, she volunteered at the center, and after graduating in 2010, joined as a full-time staff member. 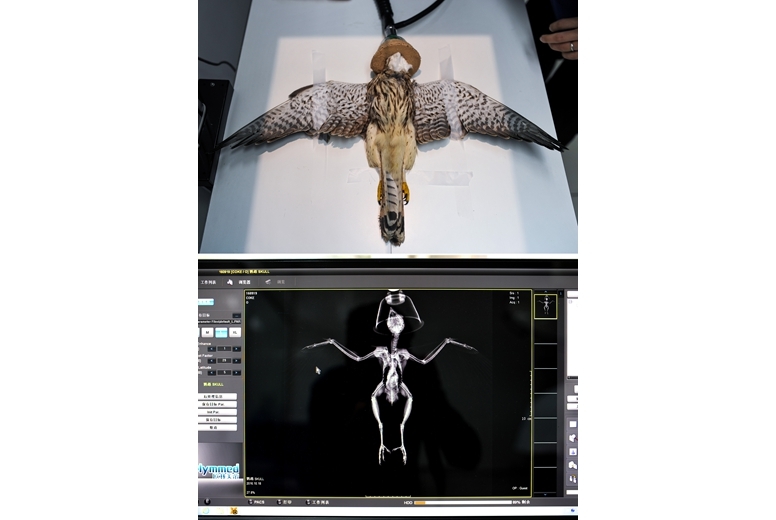 Dai told Beijing Review that her daily work routine includes physically checking up and treating birds of prey and uploading the associated data to an international medical records system­—RaptorMed. Detailed information about rescued birds, including their species, age, gender, condition, rehabilitation period, treatments and costs, goes into the system. "When we encounter particularly complicated cases, we consult colleagues at the International Fund for Animal Welfare (IFAW)," she said. Tucked away in a corner of Beijing Normal University (BNU), the BRRC promotes wild bird rescue across China. It is a non-governmental wildlife rescue organization jointly founded in December 2001 by the BNU, the Beijing Wildlife Protection Nature Reserve and the IFAW, one of the world's largest animal welfare and conservation organizations. 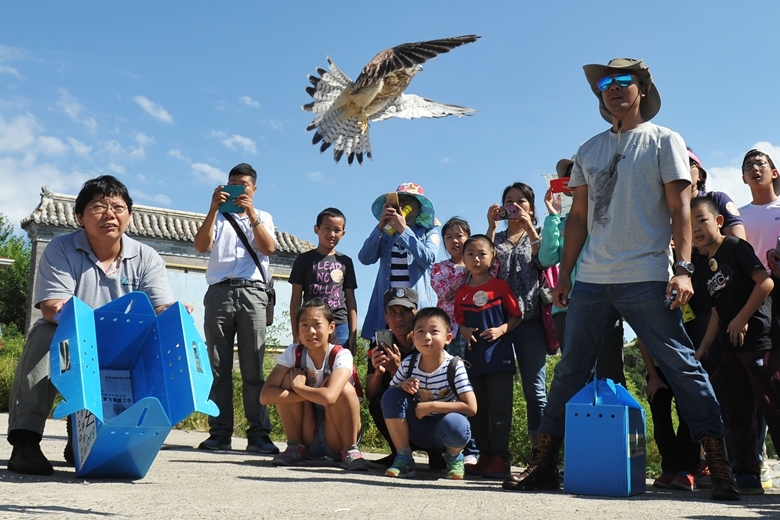 Zhang Shuai, another of the BRRC's five full-time rehabilitators who has worked at the center for 11 years, also blogs on protection and rescue of wildlife, especially predatory birds. Having over 500,000 followers on the Sina Weibo microblog platform, she has become a go-to resource for people who discover unidentified birds. In such cases, Zhang provides the bird's species, whether or not it has protected status and how to tend to its immediate needs for food or first aid. In addition to its professional staff members, the center has over 400 volunteers, who handle the tasks of cleaning bird cages and feeding the occupants. Most of the volunteers are university students, though not necessarily ones studying life science-related subjects. One volunteer, for instance, is a BNU doctoral candidate in history. 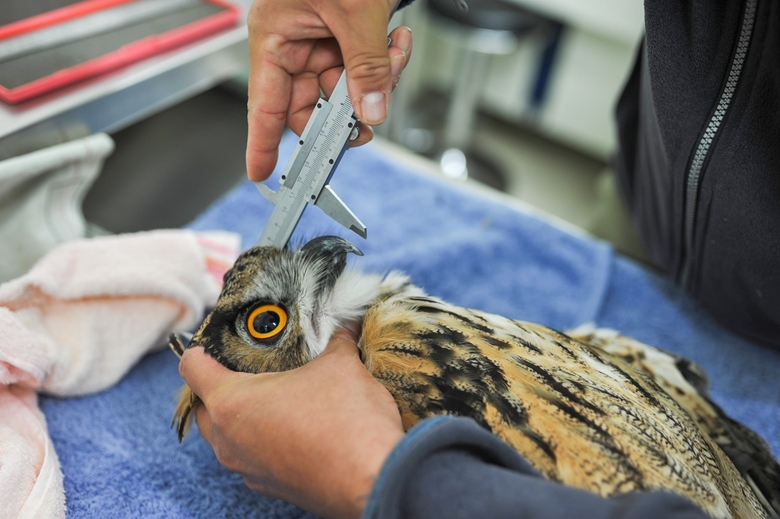 Birds that have recovered following treatment are released in areas surrounding Beijing or in other locations. The center's most recent patients were set free in the Jiufeng National Forest Park on the northwestern outskirts of Beijing on September 8. One of the birds was a black-eared kite that a local person had sent to the center in October last year. Rehabilitator Zhou Lei recalled that the bird was so feeble upon arrival that it could not stand. It lay curled up inside the box, its wings injured, its legs swollen, and its chest wounded. "We suspected the bird had been abused by its keepers. The experience had made it nervous and easily agitated. It refused to eat … [and just] stared at the food," Zhou added. The illegal capture, keeping and trading of birds of prey constitute the primary threat to the survival of such wild animals in China. BRRC data show that by the end of 2015, the center had rescued 4,229 birds which had been harmed. Of those whose suffering was caused by humans, around 77 percent had been illegally kept in captivity and about 13 percent had been illegally traded. Media reports have exposed the illicit snaring of birds along avian migratory routes in China. 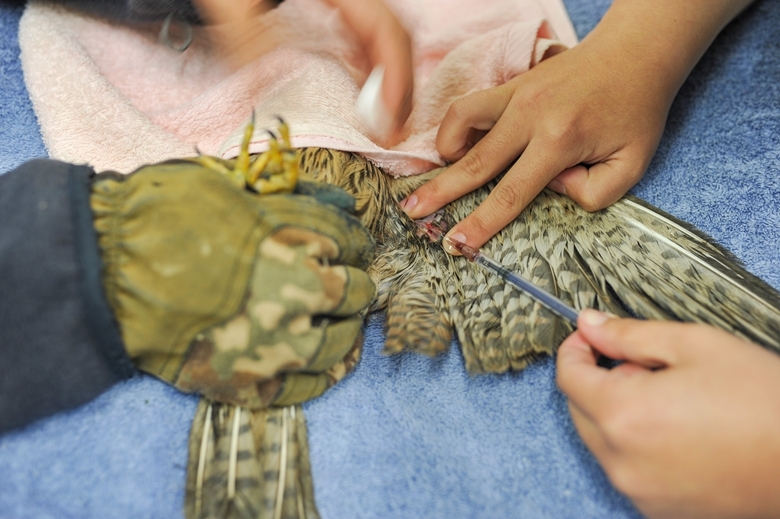 In order to raise awareness about the need to protect predatory birds, the BRRC organizes lectures, visits to the center, wild bird observation trips, and public releases of recovered birds, targeting groups ranging from students to volunteers and bird lovers.